James A. Beckman served as the inaugural chair of the Department of Legal Studies from 2011-2016 at the University of Central Florida, where he also held the tenured rank of Associate Professor. 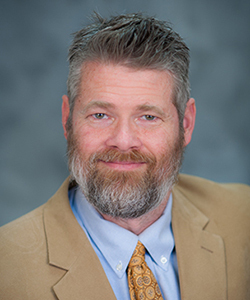 In August 2016, he was promoted to Full Professor of Legal Studies, the first faculty member in Legal Studies at UCF to achieve that academic rank. Additionally, before arrival at UCF, he previously served as a professor at the University of Tampa for over a decade. Beckman holds degrees from The University of Tampa, The Ohio State University & Georgetown University, and studied at Oxford University (England) in 1991. Prior to entering academia, Beckman was an active duty military lawyer (Army), serving on the Staff & Faculty of the United States Military Academy at West Point, as well as an active duty assignment at Fort Meade, Maryland. He also served as a litigation attorney for the United States Department of the Treasury in Washington, DC, after leaving active duty military service. Professor Beckman has achieved tenure at two different institutions since 2000, and has taught approximately seventy semester long classes at the undergraduate and law school levels. Professor Beckman's scholarship includes being the author or editor of six books (four academic books; two popular non-academic books) and approximately sixty articles which have appeared in various academic journals, magazines, encyclopedias, books and newspapers. His latest book, entitled Controversies in Affirmative Action (ABC-CLIO/Praeger, July 2014), is an edited three volume set on affirmative action, spanning thirty-three different chapters dealing with a variety of different contemporary practices and controversies involving affirmative action.